Back in 1971 when John Mason, Tony Haywood and Sid Hollier created a company specifically to manufacture screens for use in industrial screen printing, it would have taken a very creative imagination to predict the numerous different directions Mascoprint would head off into, or the incredibly diverse range of customers who would eventually be calling on its services. Experience and knowledge are two key words when defining today’s Mascoprint. 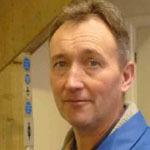 Ian Mason, son of the founder, has been with the company since 1974, and Yvonne Mason has been been involved since 1979. Other team members are also hugely experienced and contribute to the pool of priceless knowledge and expertise. Ian has worked at Mascoprint ‘man and boy’. His print journey began as an apprentice, involved in the engineering and screen making part of the business, before taking charge of screen printing production lines. 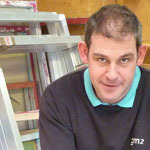 For the last 25 years Ian has been involved in selling, installing and servicing screen and pad printing machines. "I love the challenge of providing screen and pad printing solutions for industrial applications. Mascoprint is fortunate to work with like-minded suppliers of consumables, which enables us to offer an excellent one-stop package." When not at work, Ian enjoys being outdoors, walking the dogs and watching his son play rugby. After graduating with an Honours Degree in Business Studies, Yvonne joined Mascoprint as a Sales Co-Ordinator and has since worked in every department. 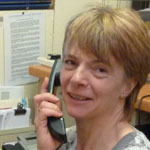 These days she is responsible for finance but also enjoys providing sales and technical support to the rest of the team. "One of the best parts about Mascoprint is the hundreds of great customer relationships we have developed over the years." When not at work or busy with the family, Yvonne enjoys training her ex-racehorse for dressage competitions. Patrick has been in the printing industry for 26 years. He originally studied as a lithographic planner/plate maker and joined Mascoprint in 1991 as a cliché plate maker and camera operator. "No two days are the same and I enjoy the challenge of finding a solution when the customer asks ‘Can it be done?’"
Outside work Patrick enjoys cooking, coarse fishing and spending time with his wife and two daughters. 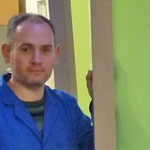 Stuart joined Mascoprint on a YTS (Youth Training Scheme) in 1990 and has been with the company ever since, working in all aspects of screen production. "I like the ‘family’ atmosphere at Mascoprint. We've all been working together a long time so know each other inside out, which is one of the reasons we work so well as a team." Outside work Stuart likes walking, cycling and badminton and spending time with his son. He also enjoys watching films and is a keen follower of F1 motor racing.